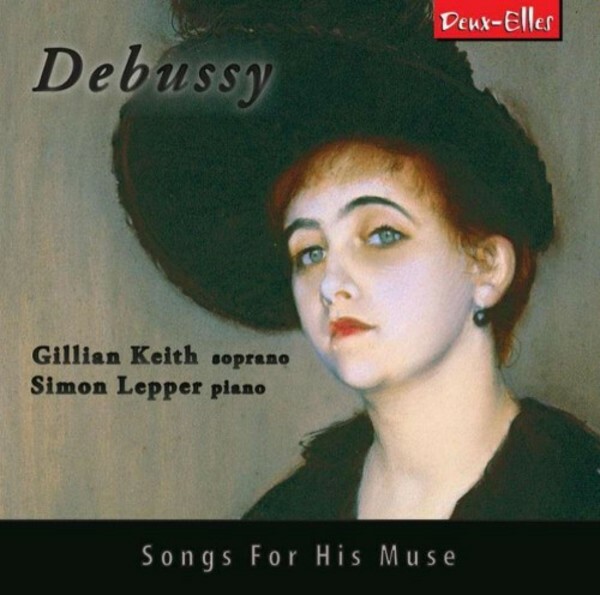 A decade on since the release of the popular 'Debussy: Early Songs' (DXL 1052), Gillian Keith and Simon Lepper offer the next chapter in their Debussy chronicle, focusing on early songs inspired by the composer�s muse Marie-Blanche Vasnier, one of Moreau-Sainti�s students, who possessed a high and agile voice and who awakened Debussy�s musical and poetic instincts. She inspired no fewer than 29 of his early songs, seven of which are included on this disc. This collection includes the world premiere recording of �S�guidille�, which was unpublished at the time of recording, and other rarities such as �Les papillons�, �La fille aux cheveux de lin�, and �Flots, palmes, sables�. Gillian Keith has emerged as one of Canada�s leading lyric sopranos. Her superb voice and musicianship are at home both on the opera stage and on the concert platform� making her one of the most stylish and versatile artists of her generation. A past winner of the prestigious Kathleen Ferrier Award� she has performed at the Royal Opera� Covent Garden and in leading roles at opera houses around the world. As a concert artist she has a vast and varied repertoire, performing in festivals and venues great and small, far and wide.